Nexia International network has retained its strong position as the ninth largest global accounting network, as measured by fee income. Experts of ICLC’s audit department have prepared an information brochure on state support for Russian small and medium-sized businesses with foreign investments. 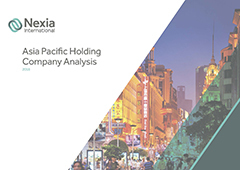 The new Extended European Holding Company Analysis and Asia Pacific Holding Analysis 2018 publications are both now available to read on the Nexia website. The publications are practical tools providing a comparison of the relevant tax aspects of various holding company regimes in the Asia pacific region and the European region extending to Hong Kong, Kuwait, Qatar, Singapore and South Africa. As per Russia the contribution has been made by ICLC. Please note, neither publication should be used as a substitute for obtaining local tax advice. 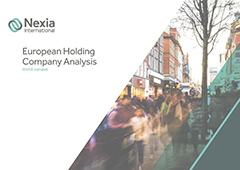 To read the Extended European Holding Analysis and Asia Pacific Holding Analysis 2018 publications, please click here. The auditing firm ICLC (International Consulting-Legal Center) ranked 25th out of 112 audit firms in Russia according to revenue from audit services.